The Crissy Field Center has been a whirlwind this summer (2015), as it has been an emotional, powerful, and productive time for staff and youth alike. On June 12, over 300 people attended the NextJen Fundraiser and Eco Fair. The event honored the memory of Jenna Rose Fiorello, a former intern who meant the world to the staff and students. A tribute fund was established by Jenna’s family to celebrate this extraordinary young leader who worked tirelessly to make positive change in the environment and encourage other youth to care for and appreciate the world around them. All proceeds from the fundraising event will go toward providing a scholarship and financial support to an outstanding, low-income, college-bound youth who is a passionate advocate for the environment. Meanwhile, several Center programs continue to evolve and hone their focus. Previously, the Urban Trailblazers (UTB) program served 33 students every summer season. But this year capacity doubled, accommodating 66 middle school students who are spending their summer at the Center performing hands-on projects, conducting outdoor investigations, and exploring the biodiversity of sites in the Golden Gate National Parks. Our Summer Camp programs have undergone changes as well; with smaller groups this year, staff and educators have been able to provide more in-depth and intensive experiences. 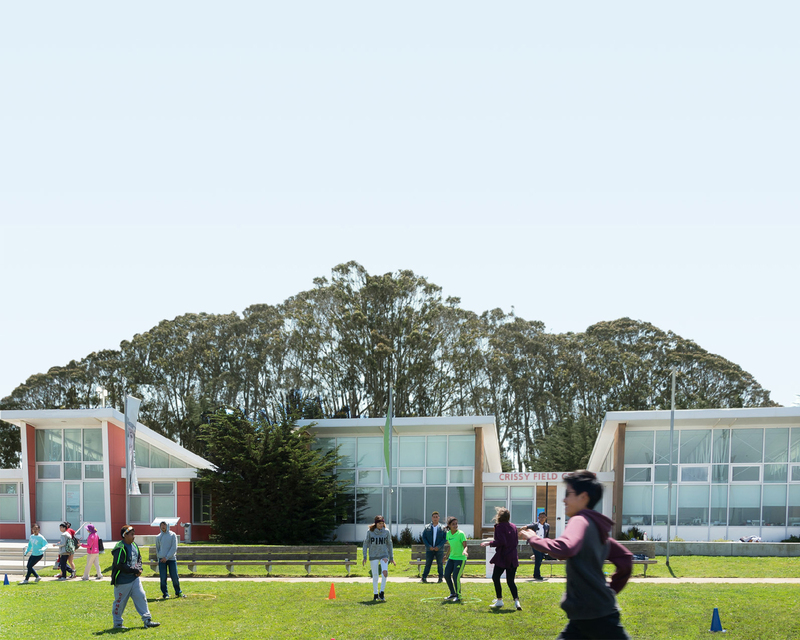 And there have been new sessions as well, such as The Presidio Trekkers (ages 5–8), which brings kids on active adventures in the Presidio; and the National Park Challenge (ages 9–11), which engages participants in art, science, and recreation, and takes them on an overnight camping trip. Finally, another successful year with our high school program, Inspiring Young Emerging Leaders (I-YEL), culminated on July 25 with the “Freedom of Expression Youth Art Exhibit.” This event, which was open to the public, showcased artistic work by these young people. Six interns from I-YEL team creatively explored the theme of “freedom and expression” as it relates to challenges and possibilities for youth today. Their work used a variety of mediums including poetry, visual art, and mixed media art. Other IYEL interns also explored freedom as it relates to their communities and presented digital stories on their experiences at the exhibit. Freedom of Expression Youth Art Exhibit is supported by the SOMArts Cultural Center's Affordable Space Program, which provides subsidized, large-scale affordable space and technical assistance to nonprofits. SOMArts receives support from the San Francisco Arts Commission’s Community Arts and Education Program with funding from Grants for the Arts/The Hotel Tax Fund. As the former Communications and Administrative Coordinator, Paz enjoyed sharing the impressive and impactful work of the youth leadership community, influential staff, and generations of young future leaders.